JACKSONVILLE, FLA. - The Jackson Generals, on the strength of a six-inning start from Joel Payamps, scored a 3-1 victory over the Jacksonville Jumbo Shrimp on Friday, clinching the 2018 First Half North Division title. With the win, Jackson (38-29) earned an automatic postseason berth for the second time in three years, taking a series victory over Jacksonville in the process. Payamps (4-2, 3.16 ERA) spun eight strikeouts on 87 pitches in the victory, posting his best start of the year and equalizing his highest strikeout total from 2017. The 24-year-old right-hander allowed only one Jumbo Shrimp hit over the first eighteen outs recorded, facing two batters in the seventh whom he allowed to reach base. Yoan Lopez took his place and retired the next three hitters in a row, but an RBI groundout allowed Jacksonville to break up the shutout. After a scoreless eighth, Brad Goldberg entered for the ninth and finished his second straight game without allowing a hit. Through their last 18 innings, Generals pitchers have allowed just three hits. 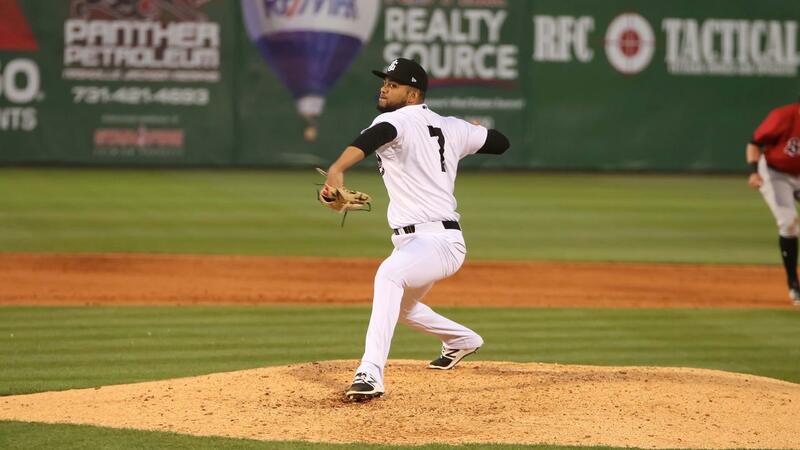 After being held down through the first four innings, the Generals offense awoke with the entrance of Jacksonville reliever Jose Pena in the fifth. After a Galli Cribbs single, both Payamps and Daniel Robertson were hit by the pitch, loading the bases for the visitors. A sacks-full walk to Kevin Medrano ensued, giving the Generals the 1-0 lead. With the bases still full, Domingo Leyba lifted a single to right field to bring home two more runs. Leyba finished 3-for-4, improving his batting average to .315. Based on league rules, the Generals will host at least Game 1 and Game 2 of the Southern League's best-of-five North Division Series when the playoffs begin. Wednesday, September 5 and Thursday, September 6 are the likely nights for those home contests, which will be confirmed in coming weeks. A win in the North Division Series would grant the Generals the chance to play against the South Division Series winner in the 2018 Southern League Championship Series, presented by BC Powder. and a Sarge Doll Giveaway on Saturday, June 23rd! dial 731.988.5299 or log on to our ticket page at JacksonGeneralsBaseball.com!